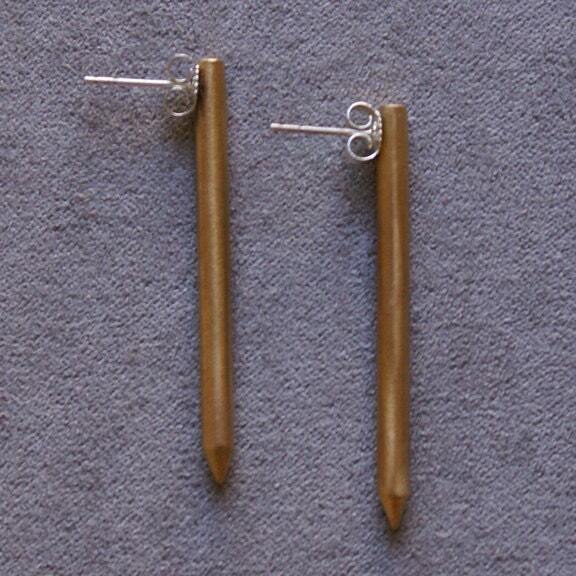 Long and striking earrings. A straight brass column with a pointed tip finished in a soft brushed satin. A bold statement piece.